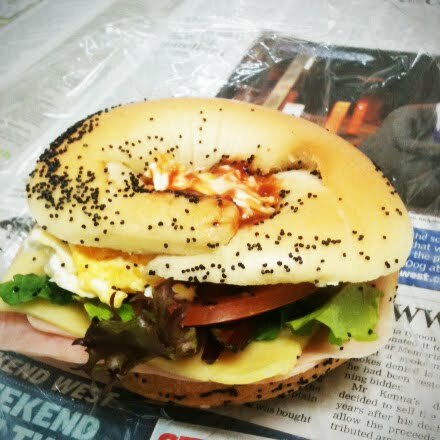 There's nothing better than the gourmet bagel sandwich prepared by my boyfriend! Can I have my meals prepared by you everyday~~~ ? Simply inviting! I also want to try out a variety of toppings for bagels, as they are healthier compared to other kinds of bread. Another things that I love about bagels is that you get to enjoy every bite without thinking of the calories because you are not just eating for the taste but for your health as well. Add meat, vegetables or even fruits with your dressing and enjoy! Some people like corn, others rice while there are also those who cannot get enough of beaked goods. Bagels and other kinds of bread as well as cookies and cakes fill our appetite and it would be even more enjoyable munching on them when they look as attractive as the given photos above.